A day after Chadwick Smith ’17 appeared on a CNN youth panel to discuss race relations and the Michael Dunn verdict, a disgruntled email response from a local woman was circulated throughout Wooster, sparking a wave of town-gown controversy. The email, written by Kay Rowekamp, took issue with one of the comments Smith had made on CNN. When the show’s host asked Smith if he ever feared for safety as a young black man, Smith replied, “The college I go to is in a majority white town, and we have a main street running through it. Sometimes people from the town will ride through and -— where’s the black people? But back in Atlanta where I live, I don’t feel that way. Just because Atlanta is a majority black city. But definitely in Wooster, Ohio, I do sometimes fear somebody is going to throw something at me … Is somebody going to walk up to me? So yes, I think as a black male I am sometimes fearful for my life.” Smith also mentioned that women and students of color are often the targets of harassment. Smith’s comment referred to Beall Ave., which is infamous on Wooster’s campus for catcalls, racial slurs and objects being thrown at students from passing vehicles. Rowekamp, who saw the CNN segment, felt that Smith’s comment was damaging to the town and College of Wooster. She wrote a response, which she then emailed to several local friends. From there, the email went viral in the town and was eventually forwarded to College administrators. 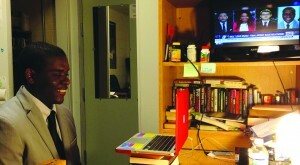 In her email, Rowekamp used Smith’s full name and identified him as a black male who attended the College of Wooster. Some community members from the town of Wooster have backed Smith’s comments as well — on Monday, Feb. 24, a local Unitarian Universalist church held a community meeting about the subject. Smith also tweeted that Pastor Rickey Brown of the Second Baptist Church in Wooster brought up the email during a service and suggested that community members attend the Feb. 24 meeting. When she was emailed for comment, Rowekamp said that she did not want to discuss the matter further. Cornwell feels that this email could be a jumping-off point for improving relations between the College and the community. “I hope we can grab hold of this moment as an impetus for developing strategies not only to address the Beall Avenue issue, but more generally to raise awareness of the realities that students, faculty and staff of color contend with every day at Wooster, on campus and off,” he said. Smith believes that Rowekamp’s remarks have only served to prove his original point. “I think [Rowekamp] should know that she proved my point about racism and white privilege in this city,” he said. 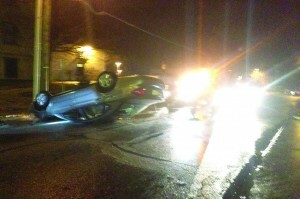 On Thursday, Feb. 20, a drunk driver careened down Beall Ave. and flipped his vehicle after failing to navigate a turn onto E. University St. No one, including driver James D. Wheeler, was hurt. Wheeler, a Wooster local, was arrested at the scene and charged with driving while intoxicated, reckless operation of a vehicle, failure to control his vehicle and having a blood alcohol content higher than 0.08. At about 10:50 p.m., Wheeler was seen driving erratically by multiple witnesses. Nick Isles ’14, who was standing in front of Bissman Hall, saw the light gray Ford Taurus speeding south on Beall Ave. “It took me a second to realize that this car was going much faster than it should have been,” he said. After swerving around a stopped car at the intersection of Beall and Wayne, Wheeler’s vehicle hit the sidewalk in front of Bissman Hall, narrowly missing Isles, who jumped out of the way. Wheeler continued down Beall until turning on to E. University St. According to the Wooster Police Department’s accident report, Wheeler hit a tree on the corner in front of the Scheide Music Center, turned sharply to the right and flipped his vehicle after hitting a utility pole near Holden Hall. Security and Protective Services officers Trevor Strock and Jamin Sprowl were the first to the scene. The Security report indicates that Sprowl smelled a strong odor of alcohol when he checked the driver for injuries. Wheeler had blood on his face but claimed to be unharmed. Wheeler was reportedly still talking on his cell phone and “shushed” Sprowl several times. Sprowl proceeded to pull Wheeler from his vehicle and instructed him to lie on the ground until help arrived, but Wheeler stood up and began dialing his cell phone again. “I’m just glad nobody was hurt,” said Isles. Minutes later the police arrived, followed by the fire department. By this time, a sizable crowd of student onlookers had gathered as well. Wheeler was arraigned on Tuesday, Feb. 25 by the municipal magistrate. In early February, Fahim Aziz ’15 launched a website that gives users access to the global market, called Backpack, which has since attracted thousands of users and substantial offers from investors. Backpack, which Aziz created with his high school friend Sakib Sauro, allows users to obtain goods from foreign countries, giving shoppers access to cheaper prices or exotic products. The process has four steps. First, the shopper identifies the item they want via Amazon.com or similar websites. Second, the shopper looks through a database of “travelers” — people who post their international travel plans to Backpack — for someone who is heading to their location from a country where the item is available or cheapest. Third, the shopper and traveler negotiate the traveler’s fee and confirm the deal. Fourth, the traveler gives the desired item to the shopper, resulting in a profit for the traveler and a cheaper product for the shopper. The website’s current domain name is backpackbang.com; Aziz and Sauro plan on purchasing the name backpack.com when they can. The site’s terms and conditions say that the traveler is responsible for obeying international trade laws, though Aziz hopes to make a database of that information. In its first week in operation alone, Backpack drew over 1,000 users from 80 countries. 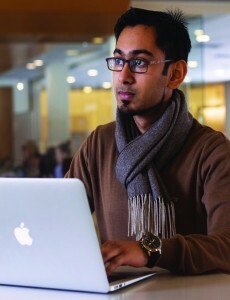 Aziz holds that the site could be of use to college students in a variety of ways. Students stuck in Wooster could use Backpack to access foreign scholarship or purchase exotic products cheaply, while students traveling internationally could use the platform to subsidize their journey. Aziz got the idea for Backpack last fall, while traveling back and forth between America and Bangladesh, where he grew up. Aziz shared his idea with Sauro, a junior computer science major at Bangladesh University of Engineering and Technology, and soon they were teaching themselves programming languages to make Backpack a reality. Over winter break, the Bangladeshi duo designed the website from scratch. Both passionate about design, they worked tirelessly to give Backpack a slick, user-friendly interface. Aziz and Sauro took online courses and met with entrepreneurs and website design experts, soaking up as much information and advice as they could. Despite a flurry of offers, Aziz is not yet ready to accept investment in Backpack. He says he is only interested in working with investors who share his vision for the website; making money is a secondary concern. Aziz plans on traveling to Silicon Valley during spring break to meet with potential investors. By the end of the semester, Aziz plans on setting up a California office and hiring employees, for which he’ll need outside funds. Aziz and Sauro are currently paying for the site’s operating cost themselves and do not receive any payment for the transactions Backpack facilitates. The website will most likely be monetized through advertisements, although other models are also being considered. Aziz and Sauro are constantly adding features to Backpack. Upcoming additions include an on-site payment option and a messaging system. “I’m curious to see where it grows,” said Ozar. Jon Frey, archaeologist and assistant professor of art history at Michigan State University, is coming to the College to present “Excavating the Archives at the Sanctuary of Poseidon at Isthmia.” Isthmia, located in Greece, was an important religious site in the Panhellenic era, and one of four Panhellenic religious centers — the better known ones being Olympia and Delphi. Apart from having religious significance, Isthmia boasts a huge bath complex and was the site of many ancient athletic games. Additionally, the site was visited by historical figures such as Emperor Nero and Alexander the Great. Frey has worked at the site (located in what was once Corinth) for more than 10 years now, and travels to the sanctuary on a yearly basis. His talk will largely focus on the enormous amount of work that goes into examining and classifying artifacts once they have been excavated. For example, during the medieval era at the Sanctuary of Poseidon, many ancient Greek and Roman buildings at the site were pillaged for their stone. These stones then became part of other structures, meaning it is not uncommon to have a building from the eighth century CE made with material that was initially part of a temple from the second century BCE. Frey is in part focused on classifying this material in order to build a fuller picture of the sanctuary’s initial floor plan. Frey will also touch on some of the new technologies archaeologists are using to recreate more accurate pictures of a building’s initial appearance and floor plan. Technological advances such as lasers have replaced manual measurements, allowing for a more exact reading of the building’s initial dimensions. Computers have made it possible to then create a digital reconstruction of the building, rather than struggle to make a physical model that accurately represents the building. Frey will present “Excavating the Archives at the Sanctuary of Poseidon” on March 3 at 7:30 p.m. in Lean Lecture Room of Wishart Hall. The lecture is free and open to the public, and a reception will be held following the talk. A new on-campus group is leading the charge to develop and expand the relationship between the student body and College of Wooster hourly wage employees. Headed by Cullen Dolson ’16 and Kristen Estabrook ’16, the group Heart Work is drawing the attention of students to work done by College staff. “We want to raise awareness of what the staff does for us so that we might be more responsible for our actions,” explained Dolson. Though not asking for funding for the upcoming year, Heart Work hopes to be recognized as an official student group in the future and is tentatively planning to begin their first project by early April. In the meantime, both Estabrook and Dolson expressed their sincere desire that anybody interested in their mission participate in the group. Heart Work is currently in the process of brainstorming, planning and scheduling through their Facebook page, which they encourage students to join. 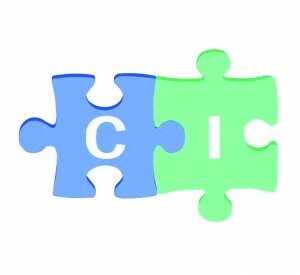 They welcome to new members and new suggestions for how to proceed in achieving their goals. With the help of some friends from Minot State University, Wooster’s Jonathan Allotey ’15, recently founded www.collegeitem.com, a website where students can buy and sell various items such as textbooks from students at the College of Wooster. CollegeItem was, like most businesses, created as a solution to a problem.